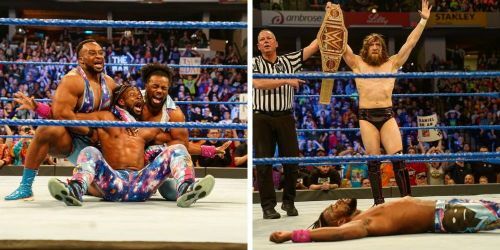 On SmackDown Live, the most anticipated match-up and event was the Gauntlet match that would pit Kofi Kingston up against five other superstars to earn a WWE Championship match against Daniel Bryan at WrestleMania. 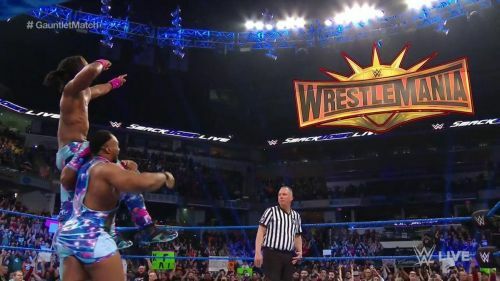 While it was an obvious scheme to trick Kofi Kingston over, he managed to overcome the obstacle in yet another jaw-dropping performance that lasted a good part of an hour or so. He would go through Sheamus, Cesaro, Rowan (by DQ), Samoa Joe and Randy Orton to win the match. He was even assaulted two times post-elimination, one by Rowan and the other by Samoa Joe. Yet, through it all, Kingston managed to do it...until Vince McMahon came out. He said that Kofi's performance was fantastic, but he needed to beat one last opponent to secure his spot at WrestleMania - and that was none other than WWE Champion Daniel Bryan himself. Bryan ended up beating Kofi Kingston with ease after being fresh himself. But why did Vince McMahon trick Kingston out of yet another opportunity? Here's why! Kofi Kingston has all of a sudden become the biggest babyface on SmackDown. He's the typical underdog and he's been made to overcome obstacle after obstacle in order to get a WWE Championship match. He was tricked out of a well-earned title match at Fastlane, and Vince McMahon then continued to toy around with him throughout. Essentially, when Kofi Kingston jumps over the final hurdle, McMahon keeps placing another one in front of him. With only two episodes of SmackDown remaining until WrestleMania, it's going to be interesting to see what other obstacles Kofi Kingston is going to have to overcome in order to get the WWE Championship opportunity that he deserves so much. WWE really keeps making us want it more.